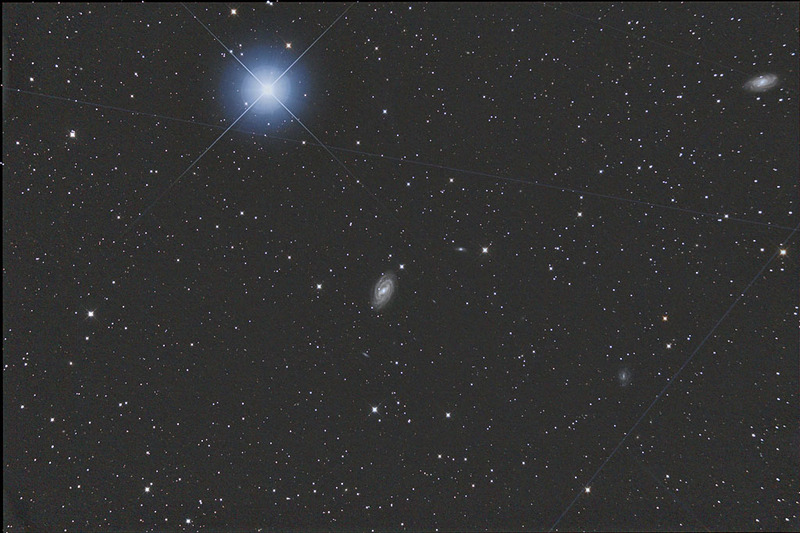 Full frame, 20 exposures of 3 minutes each at 800 ISO on April 5, 2007, M109 near Gamma UMa (PHAD), the galaxy at top right is NGC3953. The image is still a bit noisy, maybe it wasn't as cleaer as I thought. 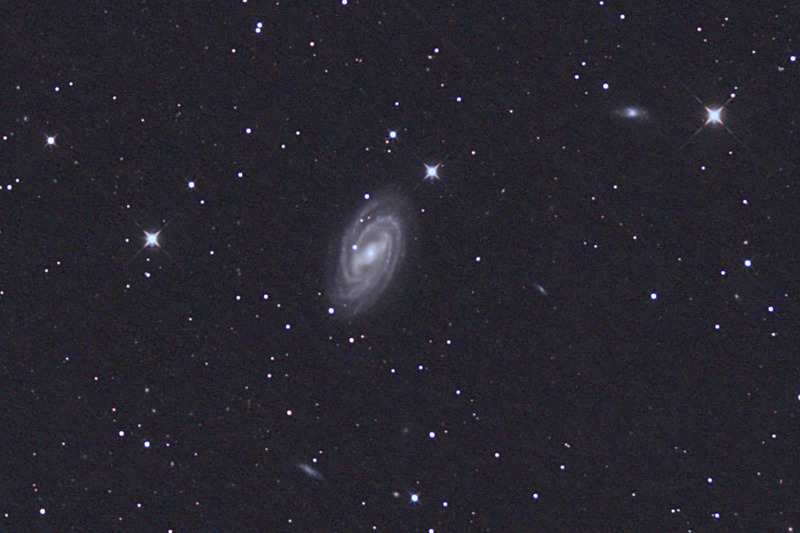 100% crop from the top image, galaxy M109 and a few background galaxies.